Hello, I’m Jodi, a 41-year-old married mother of three. 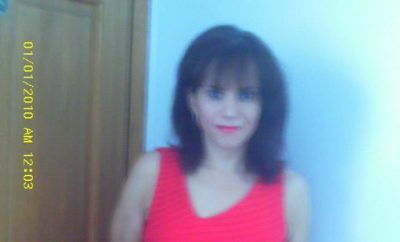 I had been overweight since the age of 10 and tried numerous diets for 25 years. Losing a few pounds and then gaining those back plus more was a common occurrence. Add those extra pounds up over 25 years and that equals an obese person. I was at the point of believing that it was truly impossible for me to lose even 10 pounds, not to mention a miracle if I ever lost enough weight to reach my goal. When I read a magazine article or watched a television show that featured an individual who lost an enormous amount of weight, I thought that only happens to “other people;” it would never happen to me. I had given up hope. Then “that” funeral – the one that made me realize that I had to find that hope again because not only was being overweight uncomfortable, it was life threatening, a thought I had avoided for my entire life. At the funeral I witnessed a 17-year-old boy looking into the casket of his mother. She was overweight too. I looked at myself and knew that I was carrying more extra weight on my body than she was. My heart felt fine, but I’m sure hers did too…until it was too late. Then I thought of my three children having to be in the same situation as her son. I realized a change had to be made, and soon. First, I learned to believe in myself and know I would succeed. I decided to change my lifestyle, as I knew diets just didn’t work for me. Instead of following any written plans, I decided to simply eat healthier by consuming good foods I could buy at the local store. I listened to my conscience instead of trying to ignore it like I had done in the past. It sounds simple but why should it be complex? Complex doesn’t equal success, as I had found through the years. Three healthy meals a day, keeping the calorie content around 350 per meal worked for me. I needed to find my biggest weakness since that was a big contributing factor to my extra weight. Eating before bed was my biggest weakness, and I knew that if I did not allow myself something at that time, this lifestyle change wouldn’t last longer than a week or two. I craved salty items so I found that a bag of low-fat microwave popcorn or a small bowl of low-fat pretzels curbed my cravings. Yes, carrot sticks or celery would’ve been a healthier choice, but I’ve “been there, done that” before. For me, they were very boring, which resulted in unhealthy spur-of-the-moment food choices after a week or so. This was a lifestyle change so it had to fit my life. Allowing myself to occasionally go to fast food restaurants and have cake/ice cream at birthday parties were other factors that contributed to my success. When my children and I visited a fast food restaurant I knew what items I could consume: a small burger plus a few fries (a few tastes the same as 20!). At their birthday parties I had the smallest piece of cake. If I would have never allowed myself to do this, I would have focused on not being able to have it, felt sorry for myself and splurged when no one was watching. I also drank more water and enjoyed a couple cups of coffee in the morning, and still do. Green tea, hot or cold, with artificial sweetener and lemon is also a favorite beverage of mine. One thing I need to mention is that I didn’t weigh myself often. Losing 2 to 3 pounds a week was a healthy loss, so if I weighed myself every day would I see any measurable results? Not really, maybe a few ouncesPlus, when I did weigh myself every three months or so, I saw a 30-pound weight loss. That was very measurable! I realized that I needed to burn the fat off with some form of exercise (a word I hated!). But I couldn’t spend money on fancy equipment and didn’t want to join a gym. (Wearing spandex at size 24 is NOT what I wanted!) So I decided to walk. I didn’t want to walk too far because then I might dread doing it, so I kept the route short at 1.5 miles. Walking briskly while imagining my house was on fire with my children inside and having to get to them is what kept up my pace. I did t-his every day, NO EXCUSES! If it was raining, I used an umbrella. If it was cold, I wore a coat. If I was too tired, I simply relaxed when I was finished. 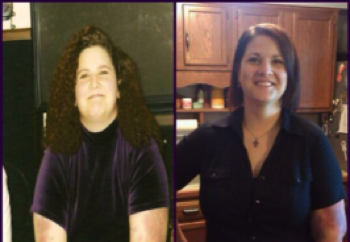 My prize was my 162-pound weight loss! Going from a size 24 to a size 6 is worth millions to me! In fact, I can’t think of one item I could purchase that would give me as much happiness as being thin! I’m real, a real person who was overweight for 25 years and lost 162 pounds in 16 months by eating healthy foods, walking once each day and believing in herself! It’s do-able! I did it and so can you! 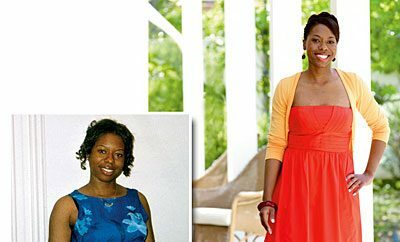 Next Story → 109 Pounds Lost: Nancy Cooks Clean and Gets Lean!